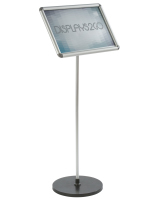 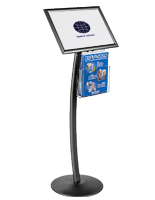 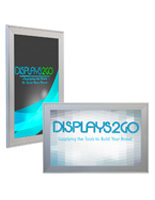 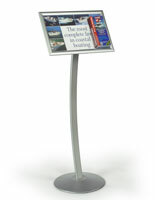 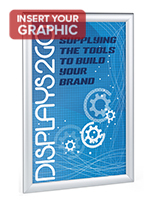 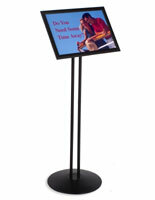 These 11x17 snap frames are excellent for displaying menus and promotional messaging. 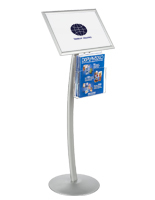 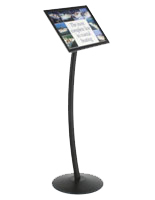 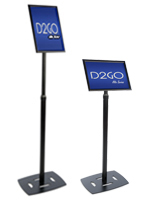 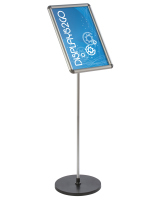 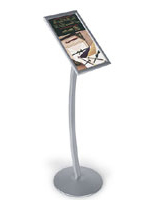 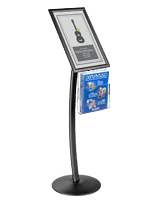 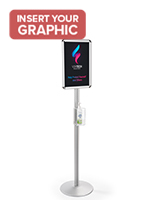 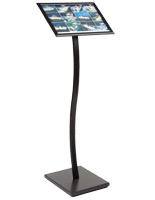 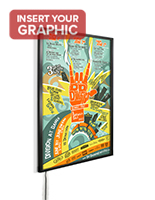 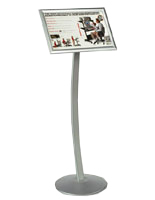 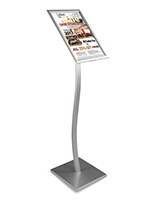 Mostly offered as floor stands, the fixture is ideal for bringing graphics to prominence, but wall mounts are also available. 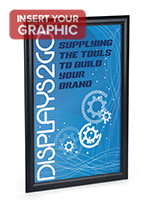 What makes 11x17 snap frames one of the best options for advertising and promotion? 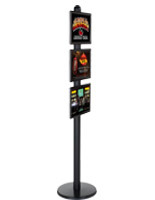 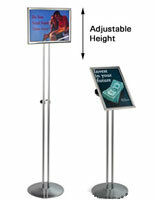 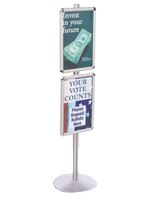 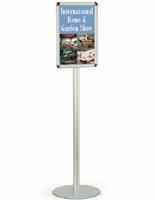 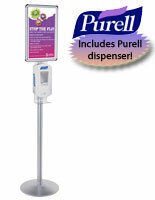 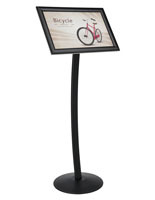 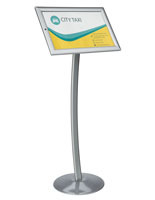 This type of sign holder features an easy-change design for inserting or replacing images with no hassle. 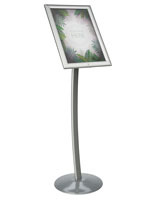 To open the enclosure, simply lift back the edges, remove the clear protective lens and place the poster. 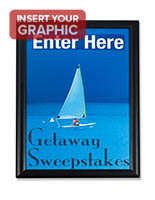 The 11x17 snap frames have a great advantage over other sign displays in that they do not require disassembly for modification. 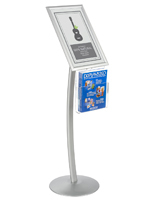 Where can these easy-to-use fixtures be used? 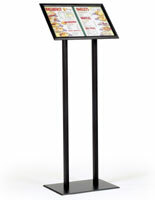 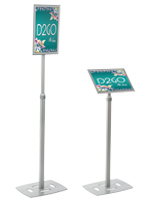 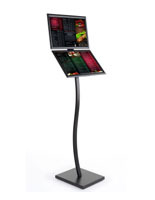 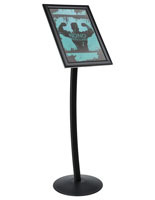 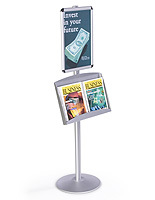 Restaurants place these signage holders in the front to give patrons a look at their menus, both in sit-down and buffet style establishments. 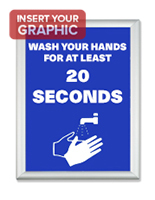 The snap frames can also feature messages like “Please Wait to be Seated” or “Take a Seat” and they can change between them quickly. 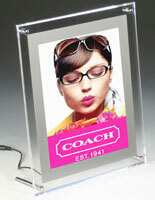 In retail stores, the enclosures can advertise new wares and offers and replace images with new promotions. 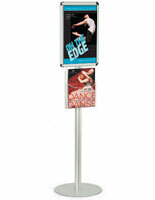 Also featured here are snap frames with add-ons like literature pockets and hand sanitizer dispensers. 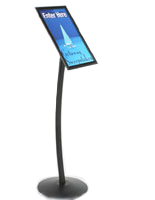 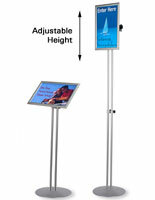 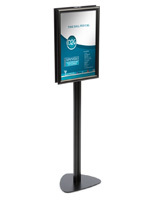 In addition, the small poster displays can inform passersby with wayfinding information when placed in lobbies and throughways. 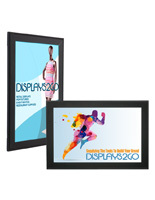 Order in bulk for wholesale pricing and benefit from same day shipping on all wares shown here.